or Big Tonoloway Creek), and at mile 239. June 1925 are contained in reports of National Weather Service. 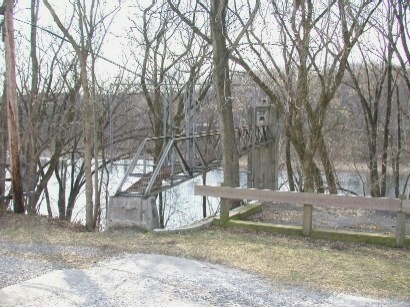 former highway bridge just upstream at same gage datum. since July 1981 by Jennings Randolph Lake. National Weather Service gage-height telemeter at station. gage height, 47.60 ft; minimum discharge, 180 ft3/s, Oct. 4, 1932.